Written by: admin on June 4, 2014. An ED involves a method of collecting detailed information on a foreign charitable organization to make a “good faith determination” as to whether or not it is equivalent to a United States public charity described in sections 501(c)(3) and 509(a) of the Internal Revenue Code. Simply put, an ED determines if a grantee (organization receiving funds) is “equivalent” to a U.S. public charity. Once determined equivalent, the donor can then make tax-deductible and unrestricted grants to the international charitable organization. Completing an Equivalency Determination is not as straightforward as it may seem. In this particular case, CAF America realized that due to the organization’s outdated and incomplete governing documents, the church could not pass the ED. The origin of the church’s governing documents traced back to the 1800s, and many details were either unclear or could not be verified. Thus, CAF America needed to work with the organization to update and solidify its governing documents to affirm its equivalency to a United States 501(c)(3) organization. Additionally, the process of working with any foreign organization poses some natural challenges. First and foremost, language provided a difficult barrier due to the limited English proficiency of the staff at the Ugandan organization. Thus, many misunderstandings transpired and were resolved during the reformation of the organization’s governing documents. In addition, the organization’s lack of technology caused sporadic and inefficient communication. This created a significant delay in the receipt of necessary documents and resources. Another challenge was the cultural differences involving different perceptions among certain topics, such as what constitutes a dissolution clause. The church’s stance was that it did not need a dissolution clause in its documents because “the church would not dissolve under God’s care.” CAF America succeeded in approaching this subject with sensitivity, explaining that the IRS would not accept that reasoning under U.S. law. Although performing an Equivalency Determination can be challenging, the ability to support the charitable endeavors of a foreign charitable organization without restrictions is worth the effort. 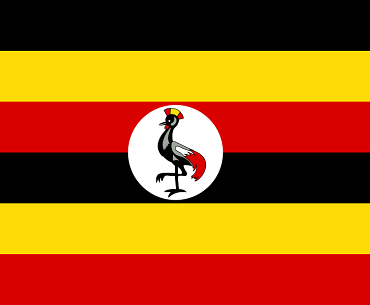 After updating and revising its governing documents, the Ugandan organization was determined to be fit to receive an Equivalency Determination certification. In concert with this approval, the generous donor and CAF America were able to initiate grants to the Ugandan organization totaling over $400,000 to date, in support of building a local community hospital. Option 1 — Internal Review: for donors who want CAF America to do both the due diligence required for the ED and the grantmaking administration. Option 2 — ED Certificate Issuing: for donors who want to do their own grantmaking but want CAF America to do the due diligence first. After the research is completed, CAF America can issue an ED certificate. Foreign grants may also be made utilizing an approach called Expenditure Responsibility (ER). This method requires CAF America to collect reports on the life of a grant. In the case of building a hospital, reports would have needed to be collected indefinitely.